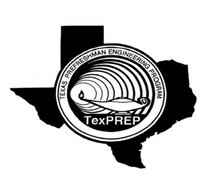 TexPrep Engineering for the Future! TexPrep is a STEM based FREE summer program for students who’ve completed the 6th grade. Victoria College, in conjunction with University of Texas San Antonio, exposes students to careers in Science, Technology, Engineering, and Mathematics (STEM). Upon completing the course, students may earn one elective credit for high school each year. The course lasts approximately seven weeks. There are four different groups within the program: Year 1, Year 2, Year 3, and Year 4. As you progress through the years, the topics and level of difficulty will increase. Parents: go to www.victoriacollege.edu/texprep to learn more about the program! Orientation Information here at Crossroads on 1-24-2017 @ 9AM. Who is eligible for the program? How does my child enroll? When and where?